Cowan’s Auctions just broke the record for most expensive piece of Kentucky-made furniture ever sold. A capacity crowd. Battling phone calls. Bated breath. Someone in the room waiting, quietly, until sweeping in and moving the conversation toward the half-million dollar mark. Multiple records broken. Ten minutes that felt like forever. That room was Cowan’s Auctions last weekend for their fall fine and decorative art auction. And the subject of all that drama and anticipation? 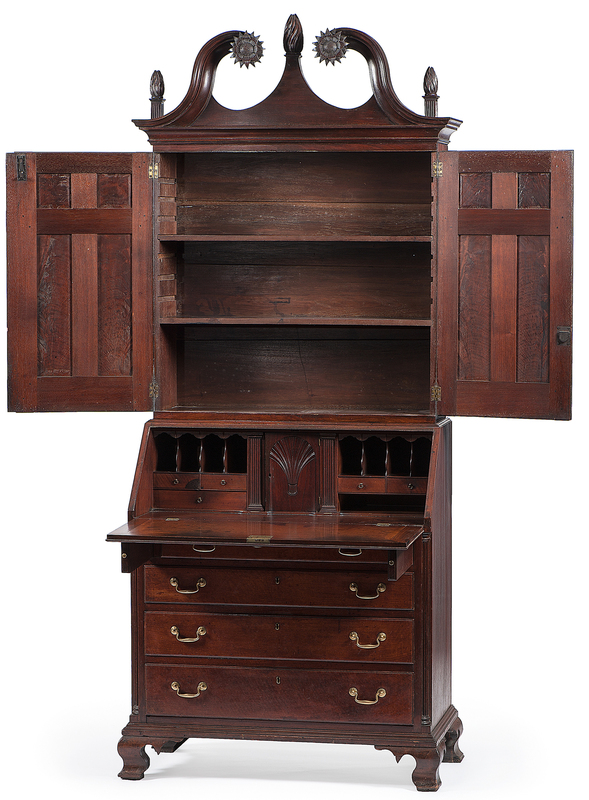 A 200-year-old desk and bookcase once owned by Captain John Cowan (no relation). It went for $425,000—$498,750 once you count the buyer’s fee—making it the highest-priced piece of Kentucky furniture ever sold (and the second highest out of the South). So yeah: It might be time to ditch sports and pick up fantasy antique sales, instead. As for the piece of furniture itself, it clocks in at 8.5 feet tall and 3.5 feet wide. But the most important (in our opinion) thing to know is that it contains nine secret drawers. Before there was password encryption, there was securing the old fashioned—and if we’re honest, probably safer—way, which we can only hope the new owner takes full advantage of. And it shows signs of its history with the occasional ink stain and inscription, but for a desk made in 1796, it’s in remarkably good shape. Cowan’s didn’t release the name of the buyer. But he/she was in the room, which stuck out to us for an auction house that sells all over. So all we’re saying is keep an eye out at holiday parties. And for the love of a half-million dollars, use a coaster.